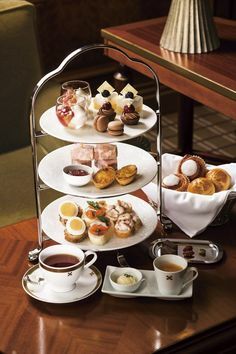 A growing trend for Hen’s Parties, (also known as Bachelorette Parties or a Bridal Shower), is the very elegant and traditional High Tea Hen’s Party. Many women are marrying at a more mature age these days. With that added grace and maturity comes a greater discernment and different preferences. They may not want the more, let’s say, “conventional” hen’s party. You know the one. Big night out on the town, wearing a bridal veil and a miniskirt, pub crawl, lots of drinking and possibly a male stripper was thrown in for good measure. Today’s bride often wants something a little more chic and sophisticated. 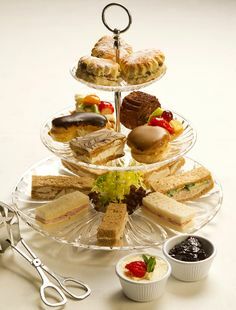 More and more venues and catering companies are offering High Tea Parties for the discerning Bride. It depends on the Brides taste and choices. Would she prefer a quiet event held in her own home? Companies like At Your Table come to your home and make this a very special event. They cater to your dietary requirements and have varying packages depending on the size of your hen’s party. Depending on where you live in the world, you will be able to find a catering company that offers a wonderful in-home experience where you can spend a beautiful day with your girlfriends and family. But of course, you can choose to hire the trimmings (bone china, table cloths etc.) and cater yourself. The Mother of the Bride and Groom would love to be involved and all the guests could even bring something. This is especially nice if you let them know the theme and then everyone gets to participate. Perhaps you could hire a Tea Sommelier to give lessons on how to make the perfect cup of tea. It is an art form and sadly for tea experts, not a well-known one. Or maybe the appeal is in the romance of the Venue. How about a stunning, elegant hotel in your local town. If you are fortunate enough to have a beautiful venue with a courtyard, you can make it a really special event with just the right ambiance. Indulge your senses and capture the feel of a bygone era with this style of a tea party. But if this is out of your budget, you will find nicer cafes are now starting to cater for this sort of theme. But you will need to check to see if they can cater for larger groups when you book your tea party. Some of these cafes can offer private rooms that you can hire for the afternoon, which can be more relaxed as you won’t be so concerned if your friends get a little noisy! You will need to pick the time that works for everyone. 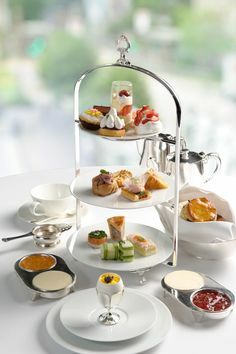 Traditionally, High Tea is an afternoon affair starting between 3 and 4 pm. This is a great time to have your event, especially if you are having a Hen’s weekend. This is also a good time if you are inviting much younger members of the family. Little girls love a good tea party. As this sort of event doesn’t generally include much alcohol, it can be a nice way to include the younger bridesmaids or siblings. You can also consider a morning tea party if it fits in better with your schedule. Either time is quite acceptable. When it comes to serving alcohol at your tea party, licensed venues will include a glass of champagne as part of the package, but you don’t have to do this if you don’t want to. There are no “have to’s” when it comes to having or not having champagne at your event. It is worth considering your budget at this point, as soon as you add alcohol to the bill, it will go up dramatically. It is also getting quite trendy now to have alcohol-free events. Keeping with the whole elegant theme of a High Tea Hen’s Party, you can send out formal invitations. These don’t have to be expensive. These days you can create your own using simple programs online and then print them at home. If you just want to keep it digital, it’s still nice to create the formal invite and then email it to your guest list. Make sure you include the RVSP date and phone number or email address as you will want to know numbers when catering for an event like this. Catering, what is the right amount? Whilst you don’t want it to feel like an “all you can eat” buffet, you want to make sure everyone has a decent amount to choose from. There needs to be a good mix between savories and the lovely delicate cakes and sweets. 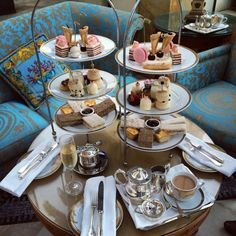 Given the time of day you would normally host or book a High Tea Party, most people aren’t expecting a full meal, but will be disappointed if there isn’t a decent selection to pick from. 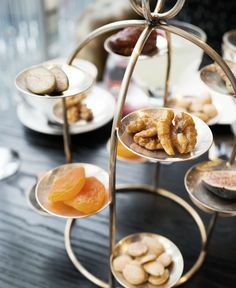 Keep in mind the presentation is such a big part of a High Tea Party, not an issue if you are going out to a venue but for home catering, you will want elegant cake stands. If you don’t want to hire them, I’m sure friends and family have some tucked away. Ok, so not many of us are serious tea connoisseurs. However to really impress at this stylish event (if you are catering of course) you really need to do your research and get this part as close to perfect as possible. You will want to have a variety of traditional teas to cater to people’s tastes. Goodness! You could even consider creating your own signature blend. The key is to make sure you study and appreciate the more subtle preparation needed for each tea. Now is possibly the time to consider hiring that Tea Sommelier if it is a tea party at home. If you are at a venue, you will need to trust their staff. As long as you remember the tea is the star, you can’t go wrong. 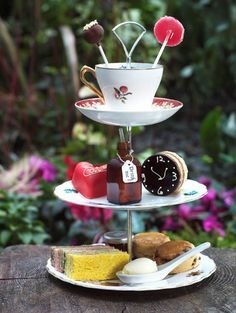 Whichever style of tea party you decide to have for your Hen’s Party, it will be a memorable and classy event and will have your friends and family talking about it for months. Enjoy the process – it’s a fun one.